Hi there! I am back again with another birthday card. 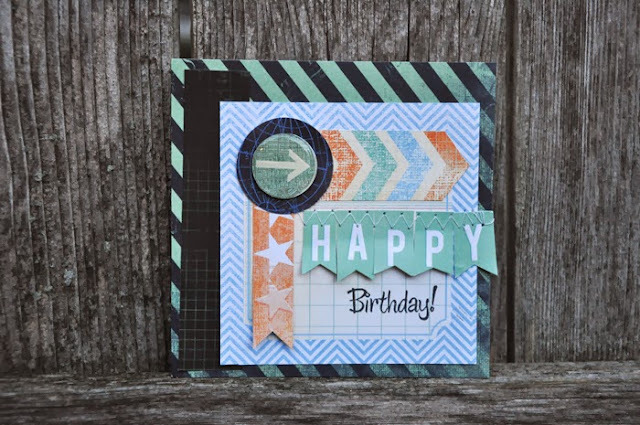 This time I used Heidi Swapp's No Limits and the Epiphany Crafts Shape Studio Round 25 Tool. This was a super easy, super quick card to put together using the No Limits Paper pad available at Michaels. All of the embellishments are part of the paper pad with the exception of the "birthday" stamp.